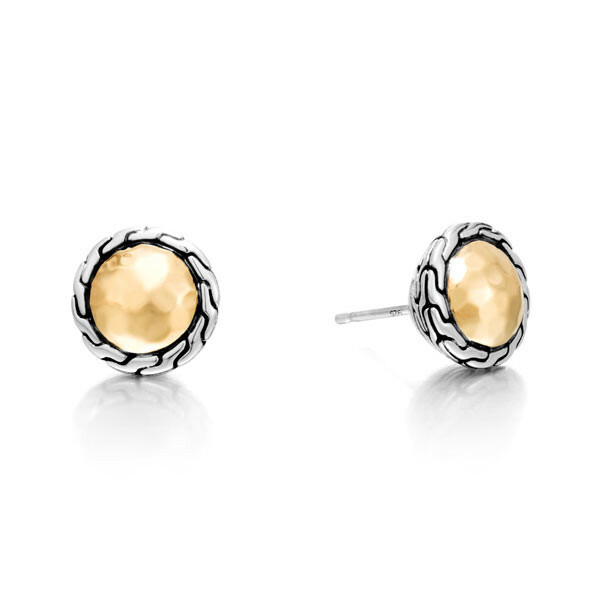 John Hardy presents these versatile post earrings as part of the Classic Chain collection. Buttons of 18kt yellow gold with a rippled surface are surrounded by sterling silver trim etched in the classic chain motif, and they are held in place with comfortable post backings. 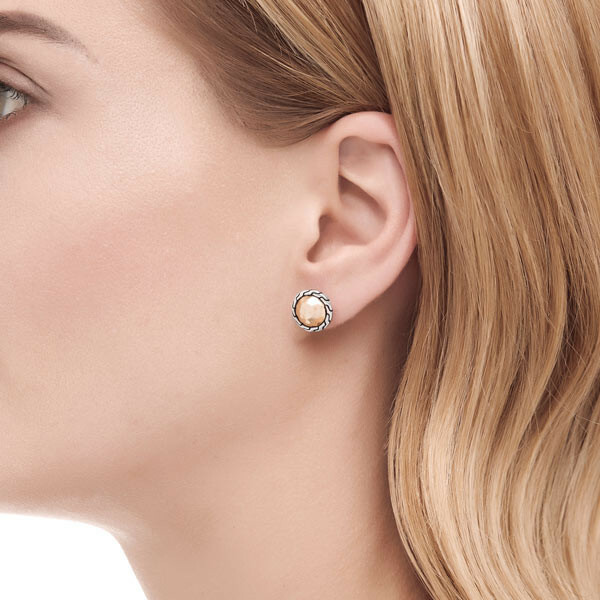 The simplicity of these shimmering John Hardy earrings make them a must-have pair.